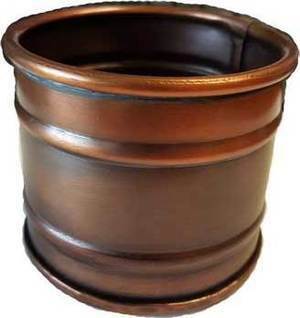 This classic heavy tin cup has inner coating and has a copper rustic finish with soldered bottom, great as a smudge pot for holding sage or even water or liquid like on an early sailing vessel. This versatile item is 6 fluid oz. 2 1/2" tall, 3" wide.